This is the time of year where I like to reflect on what I’m thankful for. Your support is right there at the top of the list. I just wanted to take a quick moment to say thank you. 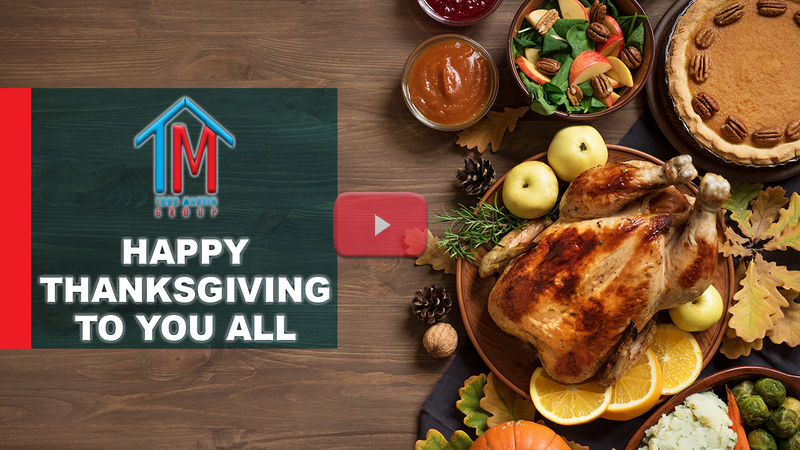 During the season of giving and this time of thankfulness, I just want to remember everyone who has been so gracious in working with me over the years and allowing me to assist in the opportunity to help you find your home. We have met some truly wonderful people, and we’re proud to have helped so many reach their real estate goals over the years. We wouldn’t be where we are today without all of your support. From the bottom of my heart, I’m sincerely thankful. During this holiday season, count your blessings, be thankful, and help those around you who need it. In the meantime, please don’t hesitate to reach out to us if you have any real estate questions or needs that I can assist you with. We would be happy to help you. I hope you have a wonderful Thanksgiving season. Take care and may God bless you.